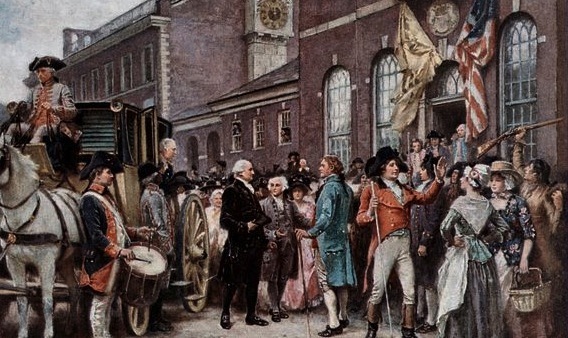 The new national government confronting these questions started in New York (painting above), then moved to Philadelphia for most of the decade before relocating to Washington, D.C. in 1800. 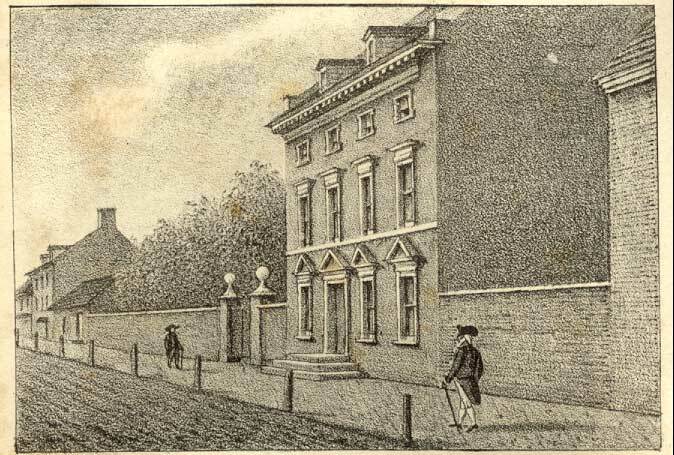 Congress met in a courthouse adjacent to Independence Hall (then still Pennsylvania’s statehouse) while George Washington lived at the President’s House on Market Street (right). Washington was the only president voted into office without really running or campaigning. He cultivated an image based on Lucius Quinctius Cincinnatus, who virtuously returned to Rome for a second stint as emperor in 439 BCE after having retired to his farm. Washington, likewise, had “laid down his sword” after the Revolutionary War, only to be (reluctantly?) beckoned back into the messy game of politics. His first term began in 1789 and his second in 1792, in order to get future elections set on even years. The Constitution doesn’t flesh out the president’s administration clearly in Article II but gave Congress the power to create officers for presidents to delegate power to. In the 1790s, Congress established the departments of State, Treasury, War (now Defense), and Post Office (later dropped) and the fourth president, James Madison, coined the term cabinet to describe the departmental heads, of which there are now twenty-two. Since Congress doesn’t administrate or enforce laws or policies on their own, they ended up creating more and more agencies in the 20th and 21st centuries in the executive branch, creating sort of a monster that swung power over to the executive branch. Yet, Congress created these agencies and they are accountable to Congress (e.g. the Justice Department is accountable to the House Judiciary Committee). But unelected agencies pass more rules than Congress does laws and the president has control over appointing the agency heads (the Cabinet). With the Judiciary Act (1789), the First Congress and Washington also established an attorney general under which the Justice Department emerged in 1870 to fight the Ku Klux Klan and the FBI started in 1908 to track anarchists of the sort that assassinated William McKinley in 1901. Founder George Mason noticed a problem with the Justice Department being housed under the president: “The President of the United States has the unrestrained power of granting pardon for treason; which may be sometimes exercised to screen from punishment those whom he had secretly instigated to commit the crime, and thereby prevent a discovery of his own guilt (Objections to the Constitution).” Mason was prescient as modern presidents Richard Nixon, Bill Clinton, and Donald Trump tried to fend off investigations by their own Justice Departments, raising thorny questions over executive privilege and checks-and-balances within a single branch. Washington was initially more “hands-off” than modern presidents, insofar as he did not see it as his place to lead with particular policies or platforms. As Madison explained in the Federalist Papers, the Constitution’s framers intentionally created a relatively weak executive branch to avoid an overbearing king-like leader. At first, Washington just expected to oversee a congress that would lead and get along without bickering. However, the presidency and national government as a whole strengthened during the Federalist Era of the 1790s. Washington’s cabinet members were the policy wonks who set the agenda, though, more than the president himself. It’s safe to say that the framers likely underestimated the power of the president’s lieutenants. Washington assumed greater executive power as he went along and even usurped his constitutional power by spending money and forming his own militia without Congressional approval. He arguably had no right to invade Pennsylvania with federal forces during the Whiskey Rebellion (about which more below) without permission from that state’s governor, per Article IV, Section 4 of the Constitution. And he had no right to declare neutrality in the war between France and Britain, as declaring war and neutrality is Congress’s prerogative. These actions set a precedent for a stronger executive branch in the future than was likely intended. Washington wasn’t averse to confrontation and had long since established his alpha male credibility during the Revolutionary War, but Washington found the day-to-day squabbling of politics irritating. He was among those Founders who deplored political parties and hoped they would never make their way to American shores. Yet, Washington and the country as a whole discovered that factionalism is inherent in republicanism. As in biology, war, or sports, there’s a natural tendency in politics to seek advantage by teaming up. 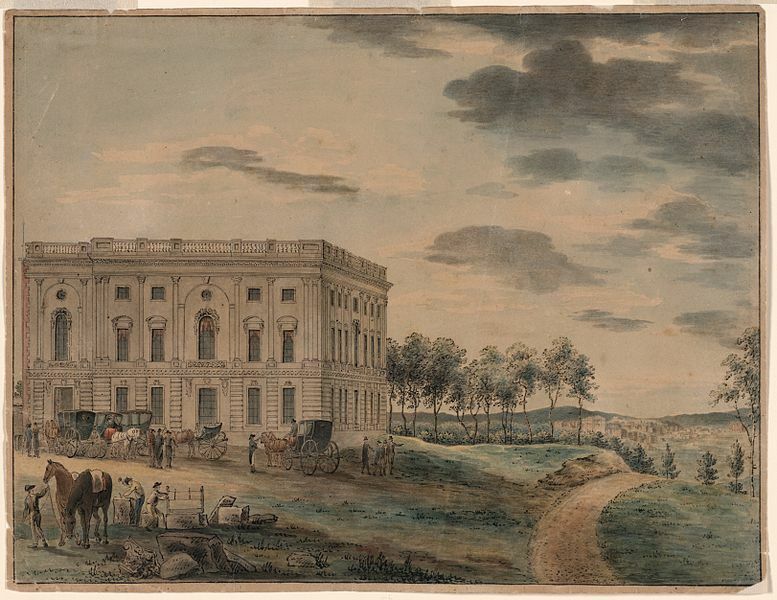 In Washington’s case, factions formed right away around members of his own cabinet. Congressmen, voters, and journalists coalesced around either Secretary of State, Thomas Jefferson or Secretary of Treasury, Alexander Hamilton. The State Department manages foreign relations while the Treasury collects taxes and manages the national budget. These strong-willed statesmen had divergent views as to how the young republic should develop and neither secretary stayed purely on his own turf of diplomacy or the domestic economy. Because their realms overlapped, Jefferson concerned himself plenty with the domestic economy and Hamilton with foreign policy. Jefferson wanted states to retain most of the power in an expansive agricultural empire while Hamilton thought America’s survival depended on thriving industry and a strong central government. The country was lucky to have two of the smartest statesmen in its history just as it formed — or maybe the challenge brought out the best in them — but also lucky to survive as it teetered on civil war between Jefferson’s Democratic-Republicans and Hamilton’s Federalists. Meanwhile, unable to swim on its own economically, the U.S. dog-paddled to avoid getting sucked into the whirlpool of European conflicts. As Treasury Secretary, Hamilton jump-started a planned industrial village at Paterson, New Jersey below the Great Falls of the Passaic River northwest of Manhattan. 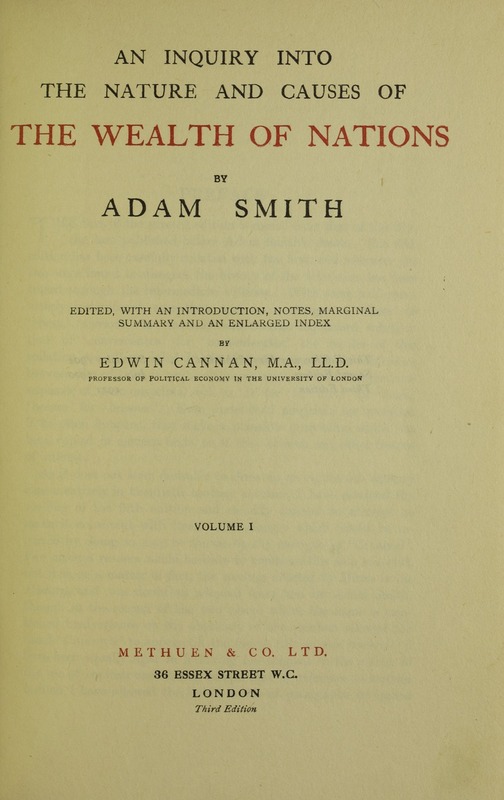 The initial Society for Establishing Useful Manufactures (S.U.M.) at Paterson went belly up in 1795 but, in the 19th century, grew into a source for firearms, locomotives, paper, and cotton/silk industries. Samuel Colt later manufactured rifles and revolvers there. If Hamilton were alive in our time, he would unapologetically embrace the idea of a military-industrial complex. That’s what strong countries like Britain had, where a central bank facilitated an expansionary government working cooperatively with munitions manufacturers and shipbuilders. Hamilton’s bank idea was based on the Bank of England, established in 1694 to fund England’s war against France. With an empire “on which the Sun never set,” the Brits didn’t dither around babbling about states’ rights, strict constitutional principles or, heaven forbid, free trade. The Legion’s strengthening and expansion is an easy-to-overlook but key point in America’s history because, as we learned in the previous chapter’s section on the Second Amendment, the idea of the government having a permanent army was controversial. Whigs and republicans saw standing armies as tilting too much power toward a central government (monarchies in Europe’s case) and such armies tended to recruit unsavory mercenaries as soldiers — the sort that colonials didn’t like living in their cities and homes prior to the Revolution. Militias, conversely, drew from regular, dependable men with a stake in society. 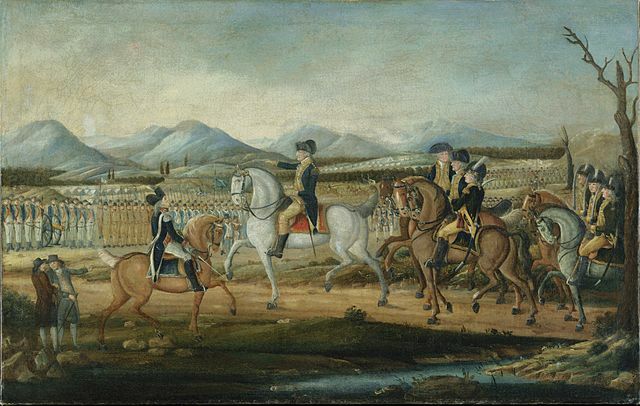 Washington, though, saw the U.S. winning the Revolution not because of militias, as was and is commonly thought, but in spite of undisciplined militias. 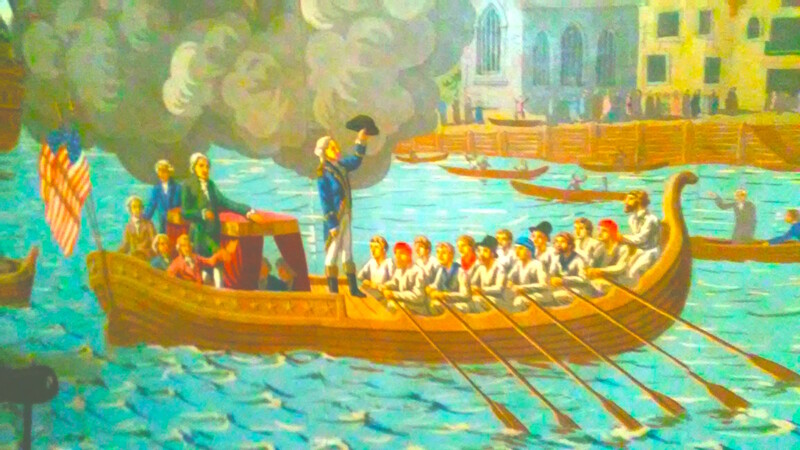 While Washington was angry about the Wabash fiasco, it conveniently helped enlarge and strengthen the army he’d been promoting since the Revolution. In 1796, the Legion of the U.S. (now 1st and 3rd Infantry) was renamed the U.S. Army. Jefferson and James Madison didn’t want to mimic Europe or import the nascent industrial revolution to American shores – quite the contrary. For one, they saw farmers and landowners as more dependable patriots than businessmen. Jefferson wrote: “Merchants have no country. The mere spot they stand on does not constitute so strong an attachment as that from which they draw their gains.” (TJ to Horatio Spafford, 3.17.1814). 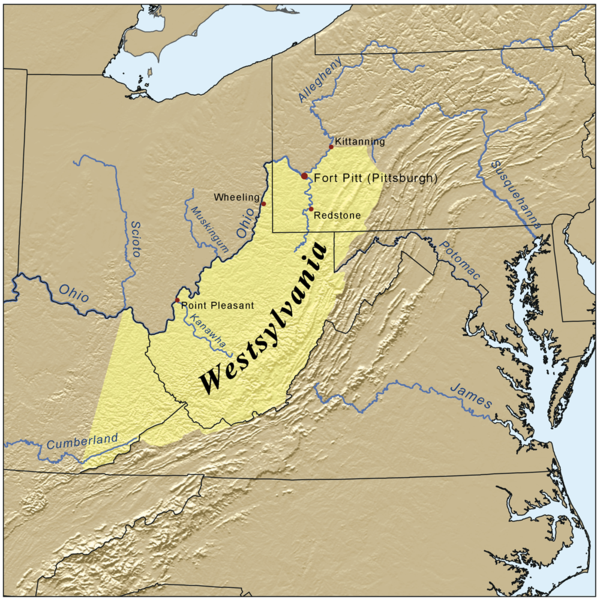 The Virginians saw manufacturing as a source of pollution and urban squalor and viewed big cities, in the Enlightenment natural man tradition, as hastening the decline of civilization (the largest cities in America at the time were only around 10k people). Jefferson hoped America would remain a predominantly rural country, with honest yeoman farmers, small craftsmen, and fisherman (including whalers) forming the backbone of the economy. The U.S. would avoid the historical evolution of civilizations from this idealized state of innocence toward decadent urbanization, instead expanding geographically toward the Pacific Ocean. There would be no need for strong national government or a large standing military in Jefferson’s scenario. He wasn’t anti-government; he believed in strong, participatory government at the local or state level. More local yet, he viewed almost all decision-making occurring in wards (small counties) among an active, well-educated citizenry. If Jefferson were alive today, the part of our government he’d most appreciate would likely be city councils and school boards. 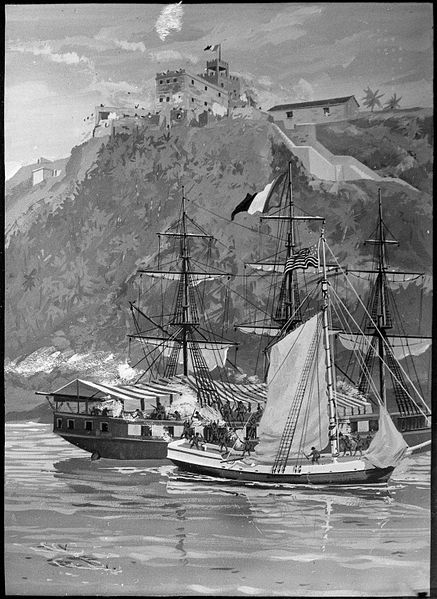 In the Jeffersonian scenario, America would avoid European wars and, if someone attacked, it would simply embargo some of the agricultural and fishing exports it traded to others in exchange for manufactured items (you may already pick up on a flaw in this plan…stay tuned for the next chapter). When it came to factories, you could think of Jefferson as a neo-NIMBY (Not-In-My-Backyard). Britain and Europe’s working classes could live in squalor under the soot. As for his romantic view of farming, Jefferson didn’t have to bust his own sod at Monticello as he had a small army of slaves for that. Constitutionally, Jefferson was a strict constructionist believing that, unless the text expressly authorized the national government to do something, it could not. Of course, no one at the time could envision a national government that would finance railroads and interstate highway systems, fight titanic global wars, build hydrogen bombs, go to the moon, invent the Internet, build water systems, conduct medical research, prevent the spread of disease, provide a public pension system for the elderly and a safety net for the unemployed, and make all the kids go to school where they’d be fed a meal and do pull-ups. But, if they had, the strict constructionists would have opposed it. The important thing at the time was that the strict constructionists opposed Hamilton’s ideas for a national bank and trade tariffs. As followers of Scottish economist Adam Smith, author of the influential Wealth of Nations (1776), Jefferson and Madison favored free trade over the mercantilist model of countries and influential guilds hoarding wealth/gold by channeling trade with restrictions and import duties. As Jefferson is wrongly thought to have said about minimalism, “That which governs least governs best” (actually from Thoreau’s Civil Disobedience). The phrase belies Jefferson’s passion for strong local government but is true to his vision for a minimalist national tier. However, he never said it in the first place; Henry David Thoreau picked it up from a magazine, attributed it to Jefferson in the 1850s, and it’s been with him ever since. Along with his support of slavery, this states’ rights commitment made Jefferson popular in the South and West, where he endorsed spreading the vote to all white males, including the property-less. He helped bring such universal white manhood suffrage about in the Old Northwest, too, by authoring the territorial ordinance in 1787 (previous chapter). States’ rights ideology also appealed to masters concerned that the national government might someday abolish slavery. It was best for all concerned, in this case, to compromise. Jefferson brought together Hamilton and the Republicans’ congressional leader, James Madison. Over food and wine, the principals agreed to what became known as the Dinner Deal. Really, the actual dinner is partly a symbolic legend for a compromise they hammered out in various negotiations and in Congress. 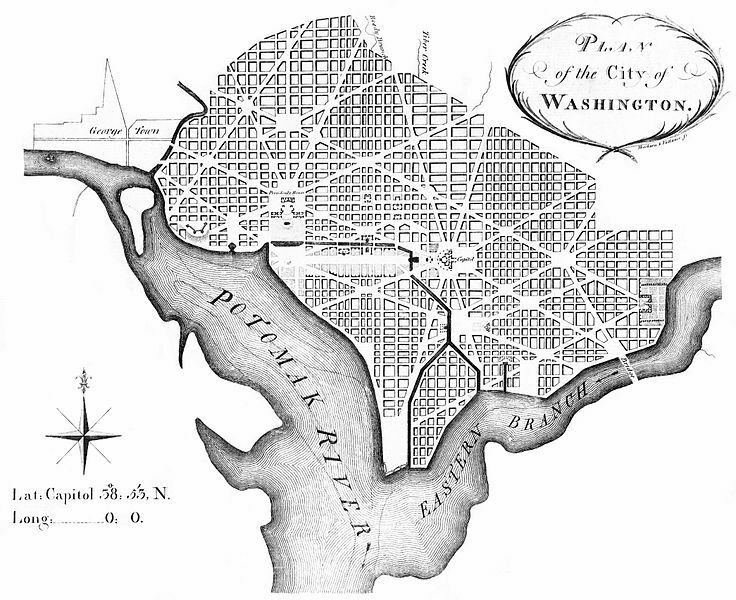 Jefferson and Madison consented to Hamiltonian finance in exchange for Federalists agreeing to move the capital away from the “stinking sewer of New York City” to a more Southerly locale – specifically a new city in the Virginians’ backyard, just south of Washington’s plantation at the confluence of the Potomac and Anacostia Rivers. There’s no official record of how many glasses of wine Jefferson had before calling Hamilton’s hometown a stinking sewer, or what Hamilton muttered under his breath as he agreed to turn the nation’s capital into a southern plantation. 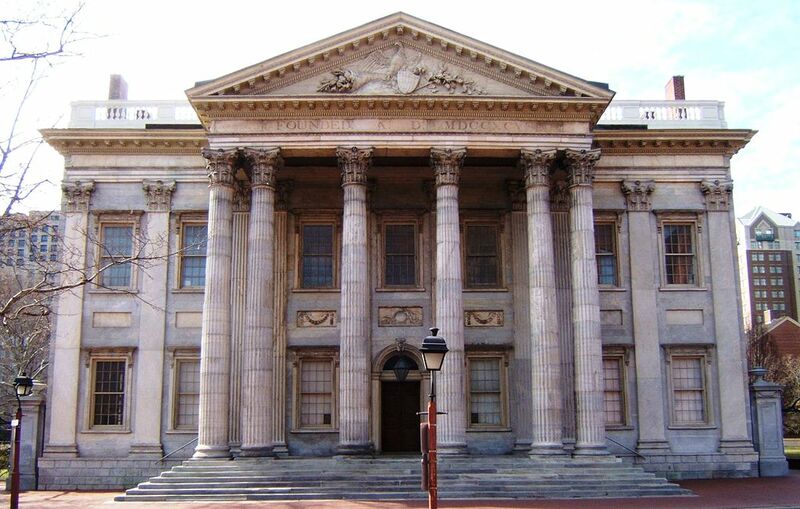 Philadelphia, more central than NYC, would be used as the temporary capital in the 1790s. That, at least, is the common interpretation of the Dinner Deal, drawn from Jefferson’s writings. In truth, Madison already had the necessary votes to move the capital, but what he and Jefferson coaxed out of Hamilton on the night of June 20, 1790, was a $1.5 million reduction in the amount their home state of Virginia contributed toward national debt assumption. Thereafter, Southerners hoped to keep a closer eye on things in the new District of Columbia, nestled between the existing ports and slave auctions of Alexandria, Virginia and Georgetown, Maryland. Jefferson and Washington helped oversee construction of the new “Washington City,” aka the Federal City. Jefferson named the legislative building the capitol, Latin for city on a hill. 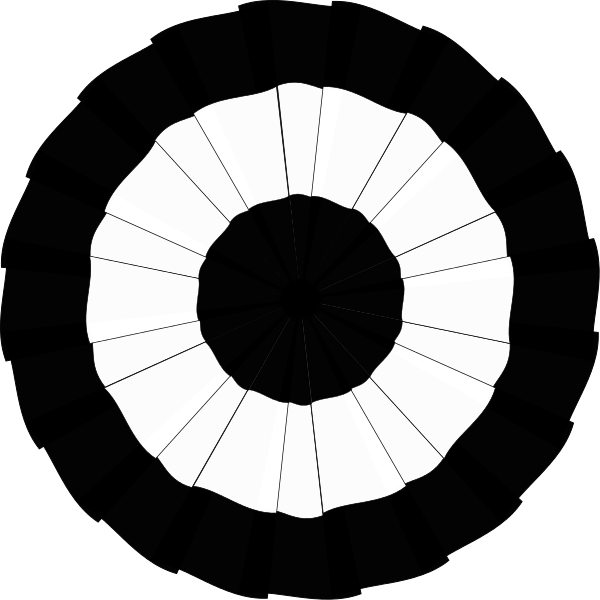 Above is French engineer Pierre Charles L’Enfant’s original design from 1792. 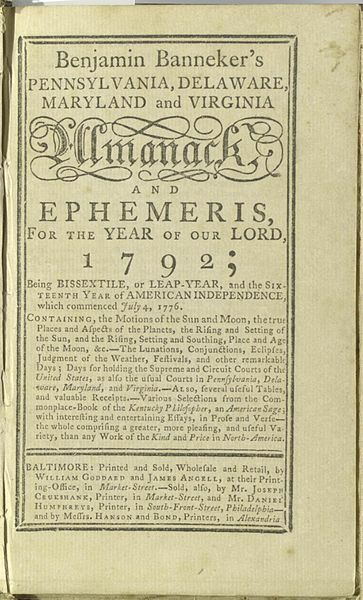 African American Benjamin Banneker, an important astronomer and almanac author from Maryland, also contributed to D.C.’s design (Banneker’s cabin burned the day of his funeral in 1806, destroying all his records regarding the Federal City and other research). Investors started buying and selling U.S. Bonds, along with stocks, at 68 Wall Street in lower Manhattan, under a Buttonwood tree to be precise (right). In time, they institutionalized themselves as the New York Stock Exchange and moved indoors. 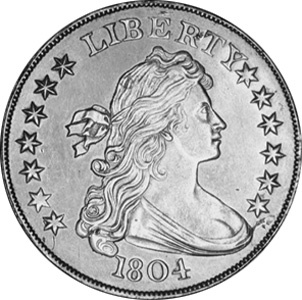 The first shares on the exchange were the treasuries (bonds) and those of the North American Bank, the government’s First National Bank, and then Hamilton’s own Bank of New York, now BNY Mellon. 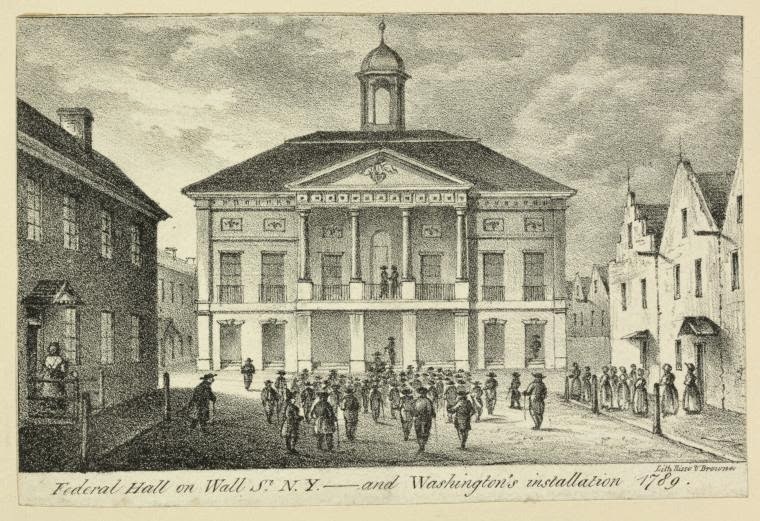 Foreigners sometimes comment on how strange it is that America’s financial capital of New York and political capital of Washington are in separate spots, but the government actually started near the Stock Exchange before it moved to Philadelphia (the original Federal Hall, below, burned in 1812). Since Hamilton is the “godfather of Wall Street,” his reputation has risen and fallen in lockstep with markets. His name was dirt in the Great Depression of the 1930s, but favorable biographies started popping up as last-minute Father’s Day presents at Barnes & Noble during the bull run of the 1980s-’90s, and he’s found a fresh audience with Lin-Manuel Miranda’s musical. As for separating political and financial power geographically, many U.S. states followed suit, which is why state capitals are often somewhere other than the biggest cities (e.g. Sacramento, Olympia, Salem, Albany, Tallahassee, Columbus, Springfield, Lansing, Harrisburg, Austin, etc.). That is why some commentators disliked one of Amazon’s HQ2’s going to Washington, D.C. (Virginia), because financial clout and political power are difficult enough to keep untangled in our system as it is without having business and political leaders living next to each other. 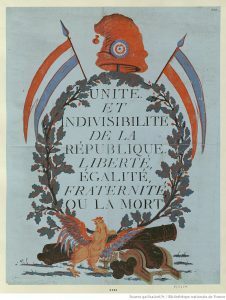 The resulting revolution inspired causes associated with its now-famous motto of Liberty, Equality, Fraternity (right), including the abolition of slavery in French colonies, more racial equality at home (tearing down ghetto walls to integrate Jews), establishment of a modern legal system, creation of a non-Christian/Roman calendar, and endorsement of a rational metric measuring system. Christian cathedrals, including Notre Dame, were refashioned as Temples of Reason and some priests were killed, thrown in the Seine River tied to rocks. Revolutionaries converted the famous Mont Saint-Michel abbey/monastery into a state prison and converted monks into guards. 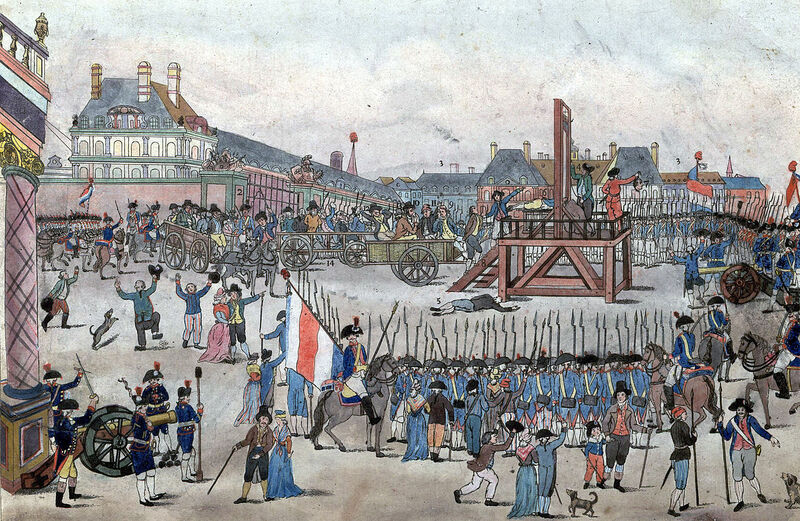 Opponents and suspected opponents of the Revolutionary Reign of Terror died by the thousands, including the king and queen, virtue of Joseph-Ignace Guillotine’s new humane tool of capital punishment (see Robespierre’s head displayed below). It was a full-blown Civilization 2.0 reset. Oddly, the otherwise liberated revolutionaries outlawed smiling in portraits, which had recently come into fashion due to improved dentistry. 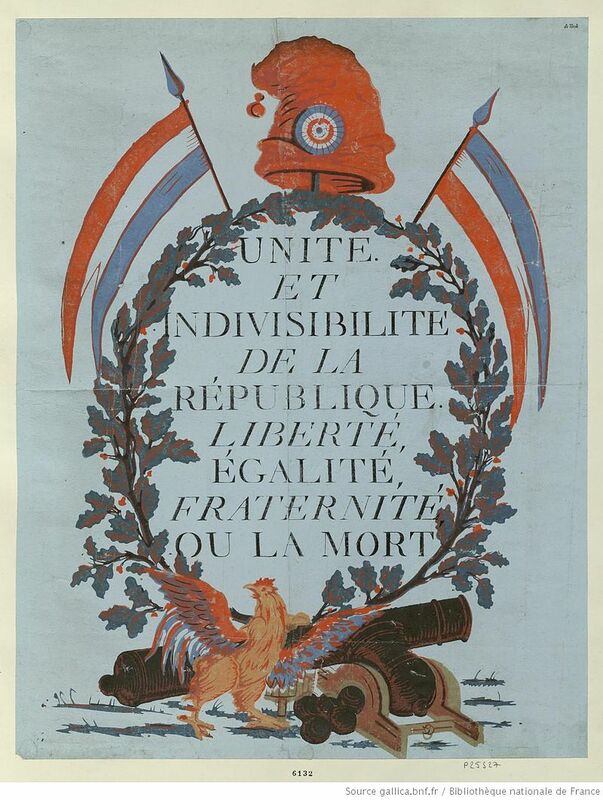 Thomas Jefferson enthusiastically supported the French Revolution despite its excesses. 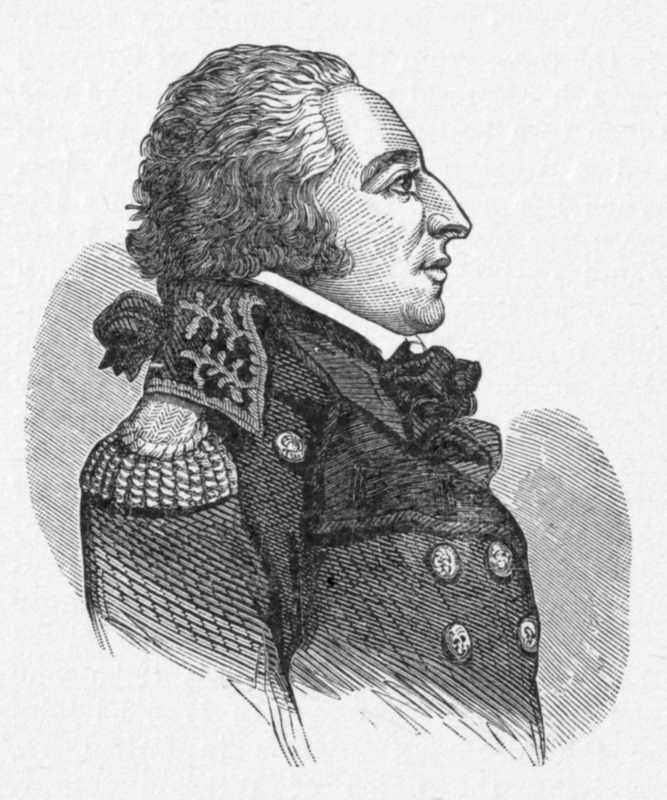 In fact, he was an important participant: as American Minister to France, he helped his old friend Marquis de Lafayette draft the French Declaration of the Rights of Man & of the Citizen, the French counterpart to the Declaration of Independence (Lafayette fought with Washington in the Revolutionary War). Jefferson didn’t always approve of the Revolution’s more violent and chaotic aspects, but when challenged to defend the uprising (before the Reign of Terror) he said, “The tree of liberty must be refreshed from time to time with the blood of patriots and tyrants. It is its natural manure.” How, after all, did monarchs come to power in the first place? Did they peacefully ask for their thrones without harming anyone? Meanwhile, other European monarchs didn’t sit by idly hoping a democratic revolution wouldn’t happen to them. You need look no further than the Arab Spring of 2011 to see that such movements are contagious. Kings wanted to nip the French Revolution in the bud to discourage such developments elsewhere. 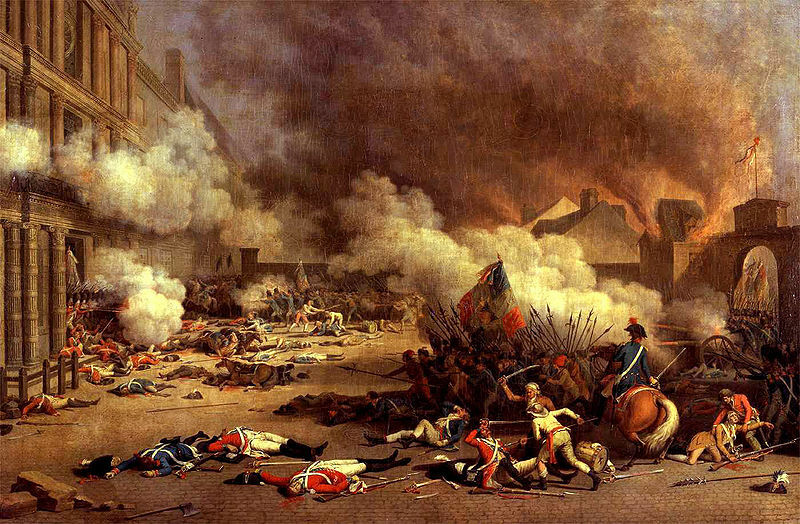 Consequently, the French Revolutionary governments — a series of governments that violently displaced each other in rapid succession — didn’t just have their hands full at home; they were at war with the rest of Europe and Britain. 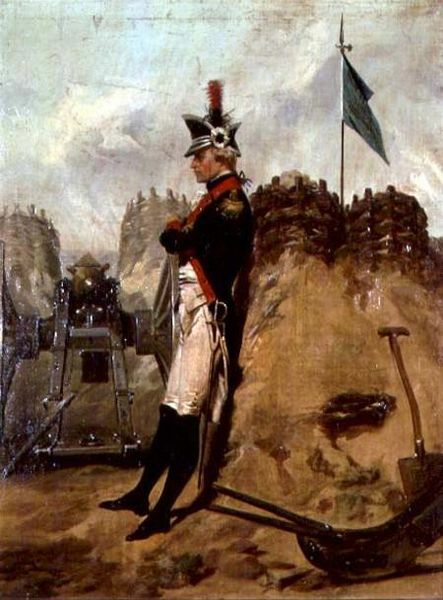 Meanwhile, Russians and Prussians crushed a democratic uprising in Poland led by our old friend from Chapter 9, Tadeusz Kościuszko (engineer of West Point), wiping that country off the map until the 20th century. Jefferson encouraged his followers to “take up [their] pen[s]…and cut [Hamilton] to pieces in the face of the public.” But, in this heated partisan environment, the red-headed Virginian blinked first. Jefferson quit on President Washington and moved home to his Monticello plantation outside Charlottesville, Virginia, from where he licked his wounds and rallied his rank-and-file supporters. Meanwhile, Republican presses in Philadelphia still hammered Federalists mercilessly at every turn. But with Jefferson gone, Hamilton had Washington’s ear and could commence building a military the Republicans thought was aimed at them rather than foreign adversaries. As it turns out, they had some reason to fear just that. Sometimes, as the saying goes, even paranoids have [real] enemies. The Whiskey Rebellion was the first time the American national government ever used force against its own citizens — in contrast with Shay’s Rebellion when the Confederation Congress was powerless to do so. That was one of the reasons some advocated creating a national government in the first place. With Hamilton, Lee, and Washington bearing down on them, most of the distillers gave up or fled into the hills or west to Tennessee and Kentucky, beyond the reach of the national government. Those in Bourbon County, Kentucky distilled primarily corn mash, leading to the famous whiskey of that name (an etymology disputed by those on New Orleans’ Bourbon Street). Rebel leader David Bradford accepted a land grant in Spanish West Florida (Louisiana) and built the Myrtles Plantation. Westylvania never materialized. In 1798, George Washington opened the largest whiskey distillery in America on his own plantation in Mount Vernon, servicing drinkers of nearby Alexandria, Virginia. 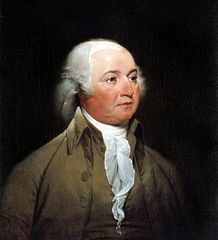 The High Federalists wanted full-blown war against France, but Adams resisted. When American diplomats went to Paris to negotiate an end to shipping attacks in the Atlantic, the French humiliated them by demanding $10k just to talk to them in what became known as the XYZ Affair. Still, Adams made the unpopular decision to not escalate and declare war on France. It cost him at the time, but most historians see his prudence as perhaps a nation-saving decision, with the U.S. Navy being so small at the time. 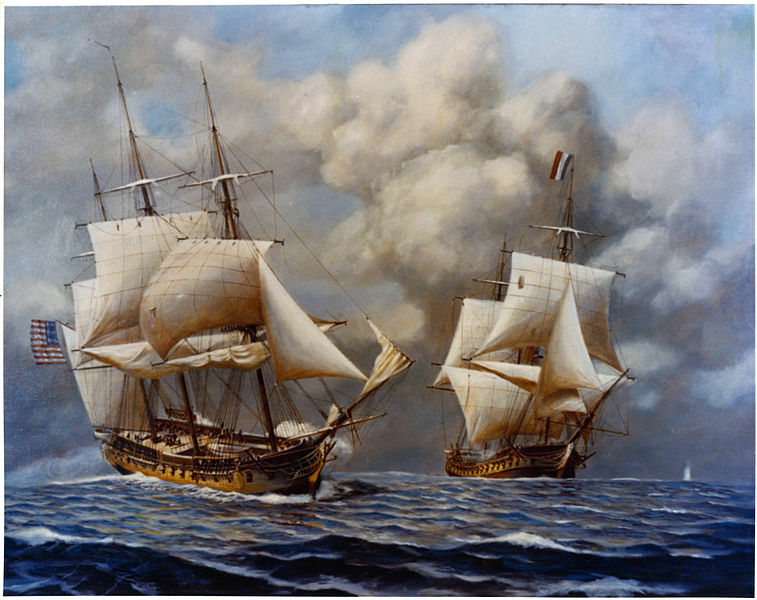 While Adams wisely didn’t ramp up the conflict, a limited Quasi-War between the French and fledgling Navy continued through the 1790s. Congress authorized the use of 25 vessels to patrol the coast and Caribbean against French privateers. 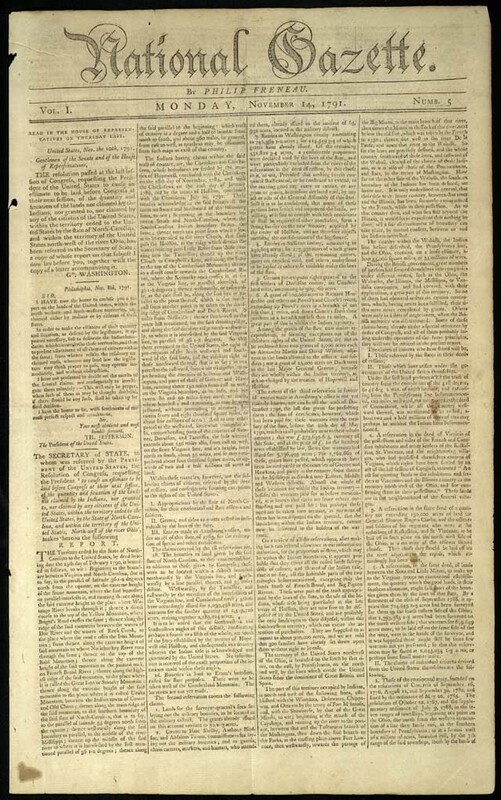 Unlike the Quasi-War, where he held his ground, Adams capitulated to High Federalists with the Alien & Sedition Acts of 1798, outlawing Jeffersonian newspapers and thereby undermining the First Amendment right to free speech within a decade of the Bill of Rights’ ratification. The Federalists lamely spun their Sedition Law as merely beefing up libel laws that prohibited factually false incriminations. However, the law not only banned false speech, but also “scandalous or malicious writing against the government” and even conspiring to oppose government measures. Indeed, had the Sedition Act stayed in place, Americans today wouldn’t live in a liberal democracy. The Alien portion of the act made foreign immigration more difficult in order to keep French citizens from moving to the U.S. to spread democracy or, in some cases, counter-revolutionary ideas. These laws stayed on the books, empowering the executive branch during WWI (outlawing opposition) and WWII (Japanese internment camps). Philadelphia, in particular, was filling up with French refugees — some from the slave uprising in Haiti and others who fled the French Revolution first to England and then to the U.S. when France went to war with Britain. Historian Francois Furstenberg points out that, in the capital city of 40k, Federalists saw a growing population of ~ 5k French opening up bakeries and bookstores and offering French language and dance lessons to their youth. 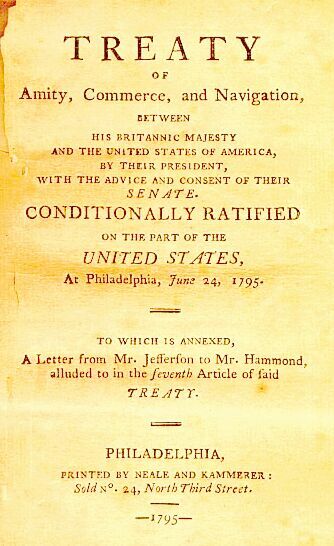 The Alien Act was intended not only to preserve America’s Anglo identity but also undermine Jefferson’s support since most French supported the Democratic-Republicans. Luckily for the U.S., the connections French aristocracy made in the 1790s before they left helped smooth passage of the Louisiana Purchase early in the next century, as those same men brokered the deal. Jefferson and Madison would’ve been jailed themselves had they protested in print, so they did so anonymously in the Virginia & Kentucky Resolutions. They argued that states had the right of judicial review over national laws and, if they found a law unconstitutional — in this case, the Sedition Act — they could nullify it within their state’s borders. Nullification Theory, or what Jefferson called “cission,” doesn’t make much sense when you think about it because it would give states ultimate power over the national government (of course, that’s what Jefferson wanted). Nonetheless, it was influential in the evolution of states’ rights theory as the country moved toward civil war in the nineteenth century. South Carolina employed it in the 1820s-30’s to oppose tariffs and Massachusetts in the 1850s to oppose the Fugitive Slave Act. Opponents of the 2009 Affordable Healthcare Act (aka Obamacare), such as Texas Governor Rick Perry, revived nullification theory more recently. The unpopularity of the Sedition Act, Whiskey Tax, and Jay’s Treaty positioned VP Jefferson nicely for another run at the presidency in 1800. The shutting down of opposition newspapers had a juicier back-story beyond just political bickering over policy. 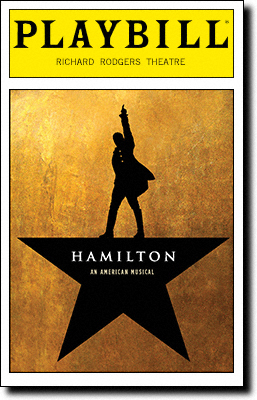 The Democratic-Republicans discovered that Hamilton was carrying on with Maria Reynolds, wife of a former Continental Army officer named James Reynolds who had abused and abandoned her. 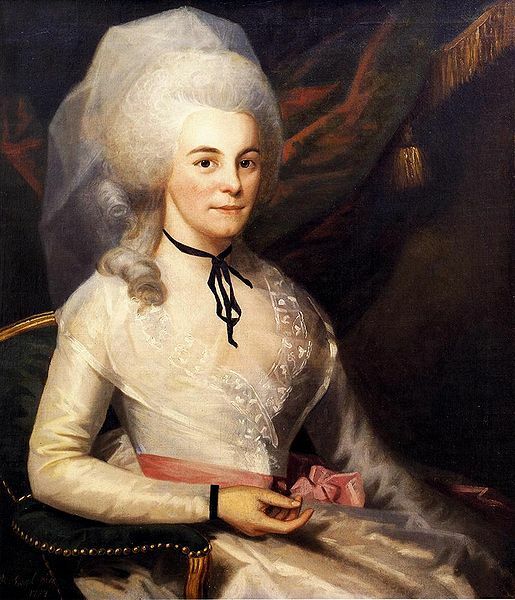 Hamilton was married at the time to Elizabeth Schuyler Hamilton. James Reynolds could hardly believe his luck upon discovering the dalliance, squeezing blackmail payments out of the wealthy Hamilton for several years. The Democratic-Republicans caught wind of the story years earlier (1792) during another investigation into Reynolds and corruption involving speculation on back pay for soldiers, a scandal they thought might’ve involved Hamilton. Hamilton was innocent as it turned out, but the proof of his innocence lay in his love letters from Maria. Hamilton cut his losses as best he could by volunteering the letters to Republican James Monroe (future president), who gave them to Jefferson. Jefferson was gentlemanly enough about the indiscretion to keep it from Washington and set the letters aside, just not gentlemanly enough to toss the letters in the fireplace. Politics is a brutal sport, after all, and politicians often save information on each other filed under “dirt” for future leverage. Jefferson’s rivalry with Hamilton grew more acrimonious over the next five years and he finally paid editor James Callender to publish the letters in 1797. First, they tried to blackmail Hamilton into giving ground on some of his policies in exchange for not publishing the letters, but he called their bluff, refusing to be blackmailed. The fallout of the Reynolds Affair was bad for both Hamilton and Jefferson. The resulting scandal ruined Hamilton’s public reputation and he never again held office. 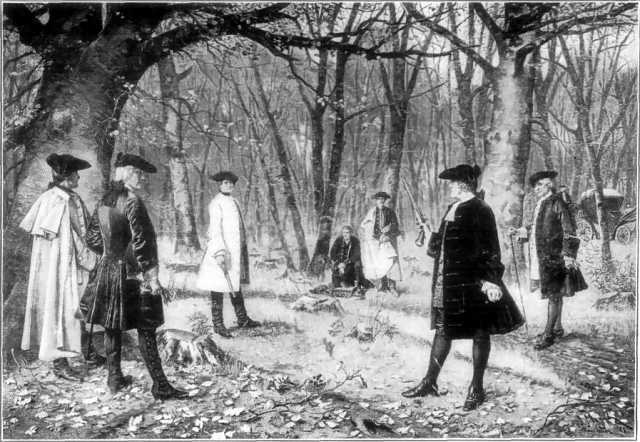 In 1804, Maria Reynolds’ attorney Aaron Burr killed Hamilton in a duel, though for reasons mostly unrelated to the Reynolds Affair. For Jefferson, his decision to publish the Hamilton-Reynolds correspondence predated his editing of the New Testament, which began in 1803, so he was insufficiently aware of the proverb “Judge not, that you be not judged” (Matthew 7:1 KJV). After the Federalists released Callender from jail, the editor grew frustrated that his old boss wasn’t doing enough to secure him a job. He’d made a big sacrifice for Jefferson by going to jail under the Sedition Act for smearing Hamilton and Jefferson had a lot of pull. But with the deed done, Jefferson welched on Callender. With no jobs forthcoming, the vindictive Callender revealed that the author of the Declaration of Independence had fathered children with his domestic slave, Sally Hemings. 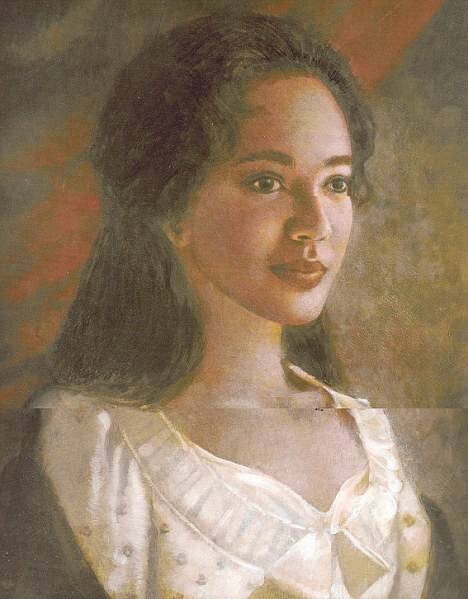 The “quadroon” Hemings was actually Jefferson’s late wife Martha’s half-sister and bore a strong resemblance. Before Martha died from childbirth complications, Jefferson promised her he’d never remarry. 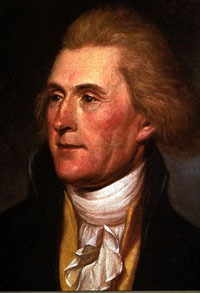 In the 1990s, DNA evidence confirmed that Hemings’ descendants trace to a male Jefferson. The Jefferson Heritage Society now argues it was Jefferson’s younger brother, Randolph, who fathered all six of Sally’s children. However, previous Jefferson defenders always linked the rumors to other relatives whose DNA didn’t match. Randolph lived twenty miles from Monticello. This we know: Thomas Jefferson was at Monticello nine months prior to each birth and these children were the only slaves he ever freed besides their uncle James (Martha’s half-brother), whom Jefferson took to Paris with him to learn French cuisine. James Hemings later earned wages as a presidential chef before committing suicide at age 36. How do the factions of the 1790s connect to the political parties of today? The Federalists are no longer around, but their pro-business outlook is most commonly associated with Republicans. But there are fundamental differences. Federalists promoted stronger central government rather than weaker, to stabilize currency and jumpstart a young economy with no existing infrastructure. 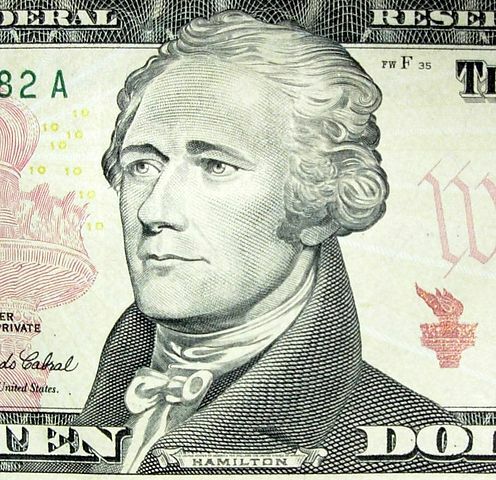 Hamilton embraced debt and taxes. Modern Republicans dislike the power of the national government as expressed in too much bureaucracy, taxes, and regulations. In 1980, Ronald Reagan’s that which governs least governs best motto came from the mythological Jefferson, not Hamilton. As mentioned, Jefferson’s faction was originally called the Republicans, but Federalist critics charged them with being Democratic-Republicans because they endorsed voting for all white males. Eventually, as more of those white males won the right to vote, they embraced the term Democrat and dropped Republican from their name. Today’s Democratic Party is the direct descendant of Jefferson’s faction. Unlike Jefferson, though, they typically believe in using the national government — in their case, to provide a safety net (Social Security and Medicare) and, and least from the 1930s to the 80’s, to protect workers and consumers from corporations. Thus, when Democrat Franklin Roosevelt implemented the New Deal in the 1930s to promote unions, minimum wage, and Social Security, commentator Herbert Croly called it Hamiltonian means for Jeffersonian ends, meaning strong government on behalf of regular people. It’s impossible, then, to correlate the Federalists and Democratic-Republicans of the 1790s with today’s Republicans and Democrats. The ingredients are recombined into different recipes.